Has your hair been damaged by the sun, colouring, straightening, perming?? NANOKERATIN is the fastest, most technically advanced and efficient permanent Hair Repair system in the world. All hair types benefit from this new technology, but the most dramatic results are seen in extremely damaged porous hair. Using advanced nanotechnology, scientists in Brazil have developed a brand new and permanent hair repair system that can restore your hair structure back to how nature intended it to be, soft, shiny and healthy. The result is beautiful, soft and silky hair in superb condition with an incredible shine. 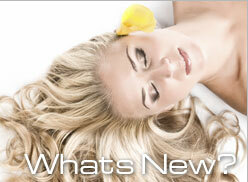 The hair instantly becomes healthier and more manageable. 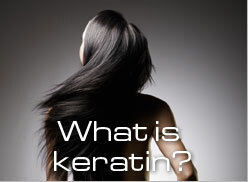 The NANOKERATIN system quite literally puts life back into the hair!